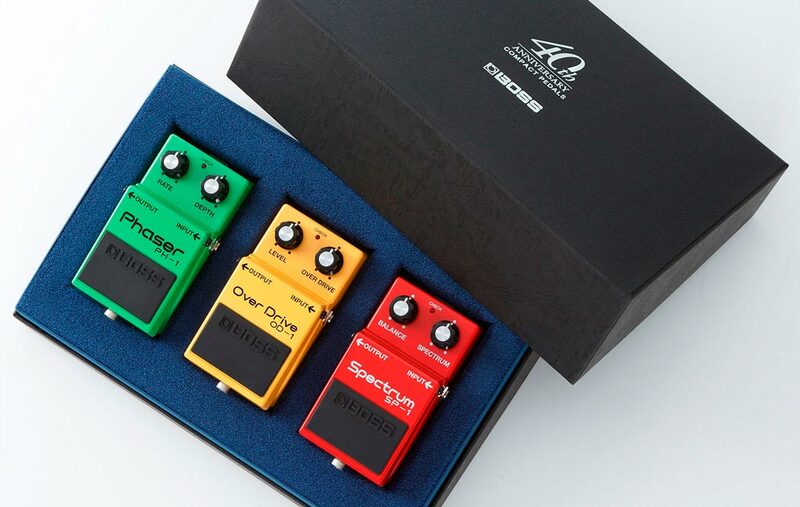 Find about more about the BOX-40 and other BOSS anniversary products at the BOSS 40th Anniversary page. 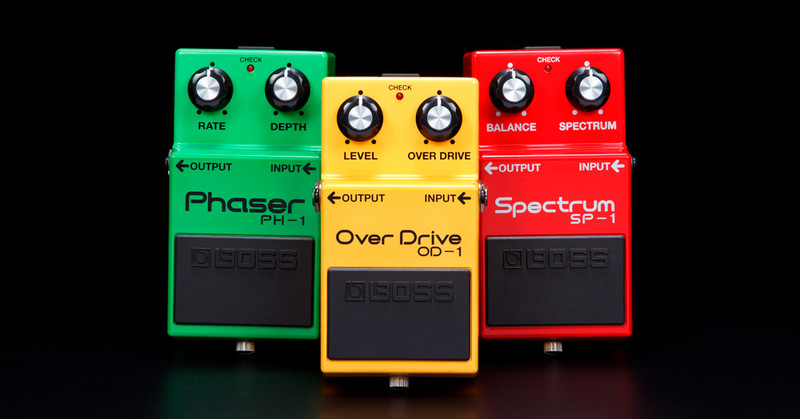 The PH-1, OD-1, and SP-1 in the BOX-40 are known among collectors as the “traffic light series” for their green, yellow, and red colors. Click a name to go to the store’s website. The BOSS BOX-40 set comes in a deluxe box for storage and display.